As you splendid readers doubtless realize by now, the hardlooking staff annually tallies the results of the New York Times Year in Pictures review. And that time-honored tradition continues with this year’s edition. Photographs that tell the story of a world in tumult. So . . . drumroll . . . this year’s bull-goose shooter is: Todd Heisler, with four entries in the Times photo album. 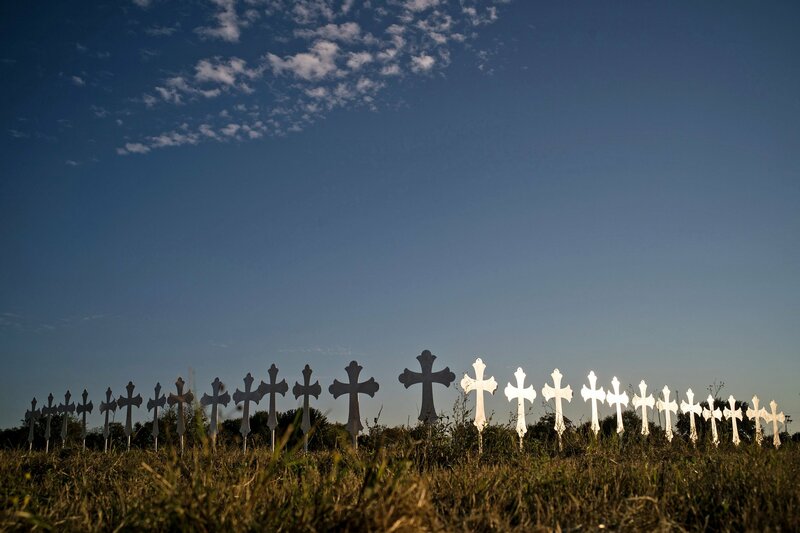 Crosses commemorated the 26 people who died when a man opened fire on parishioners during a Sunday service at a small church in rural Texas. Honorable mention goes to Thomas Munita, who had three photos in the review, including this cover image. 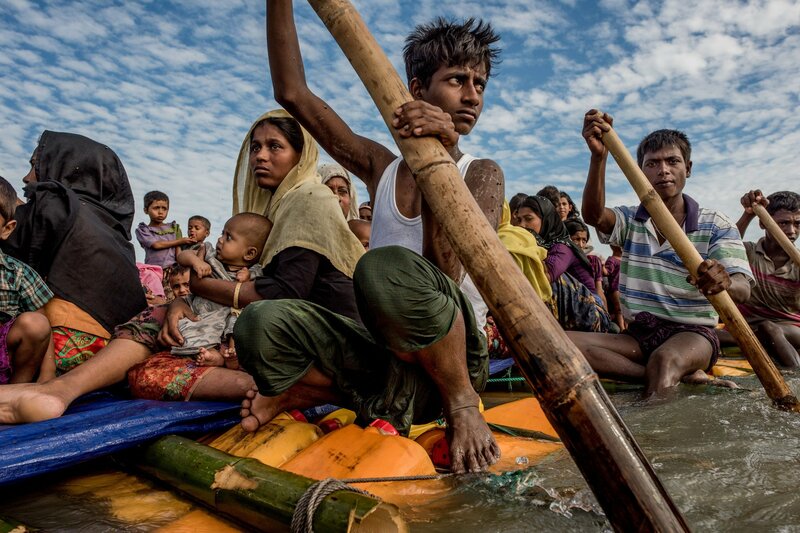 Refugees used a makeshift raft they built to escape Myanmar’s brutal crackdown on its Rohingya minority. Shoutouts also to Meredith Kohut and Stephen Crowley, who each had two hits in this year’s hit parade. And much gratitude to all photographers who brave difficult situations and put themselves in harm’s way to give us a true view of the world. This entry was posted in Uncategorized and tagged Bangladesh, Meredith Kohut, Myanmar, Naf River, New York Times, Rohingya, Stephen Crowley, Sutherland Springs, Thomas Munita, Times Replica Edition, Todd Heisler, Year in Pictures. Bookmark the permalink.